I have always used make-up wipes to take off make-up because I thought it was just easier and quicker than other products. Recently on beauty blogs I have seen people raving about cleansing water, so I decided when to give it a go. I was a bit dubious at first but I totally love it. 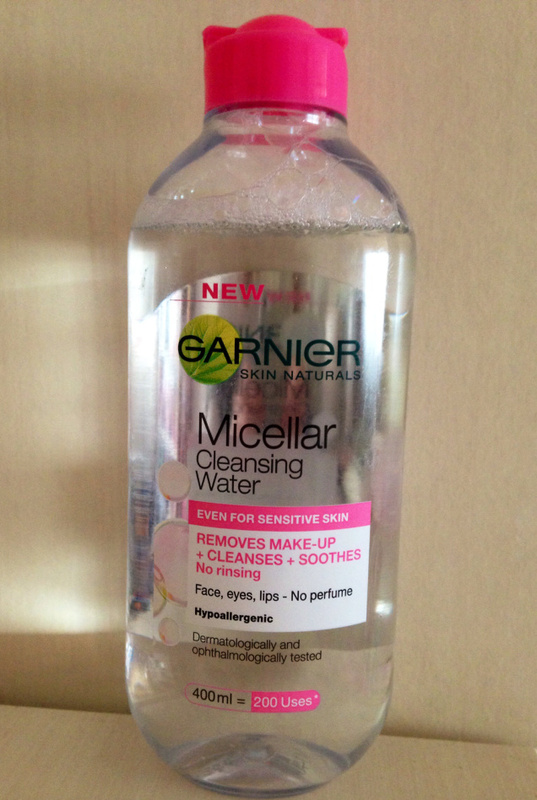 I thought I would start with Garnier Micellar Cleansing Water as I have heard a lot of good reviews about the product and Garnier are always great for skin care products. It's very good at removing make-up and impurities. My skin feels smoother and I have no make-up whatsoever remaining on my face. I will definitely not being going back to using make-up wipes, I am completely sold on cleansing water and will definitely be trying other similar products in the future. It takes off make-up so much better than make-up wipes and my face feels so clean and fresh afterwards.